Juice "Nash Sok" 0,2l TBA Base Juice "Nash Sok" 0,33l TBA Slim Juice "Nash Sok" 0,5l GLB Juice "Nash Sok" 1,5l TBA Juice "Sokovita" 0,95L. Ukraine. GLJ Juice "Sokovita" 1,93L. Ukraine. TBA Slim Juice "100% Jaffa" 0,25L Origin -. 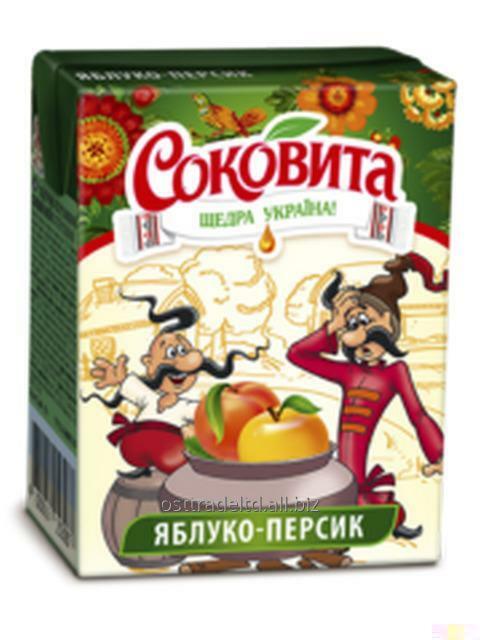 Ukraine Jaffa 100% ukrainian juice Pineapple nectar 1L. Juice 100% Apple "Jaffa". 1L. Origin - Ukraine Juice "Jaffa NFC" 1L. Ukraine TPA Square Nectar Banana-strawberry "Jaffa". 1L. Origin - Ukraine Juice "Jaffa Natura" 1L Origin -. Ukraine Juice '' Jaffa smoothie "1L Origin -. Ukraine Jaffa 100% ukrainian juice Blueberry-chokeberry nectar 1L. Juice 100% Jaffa Multifruit 1L Origin -. Ukraine Juice "Nash Sok" 1l TGA Juice "Nash Sok" 2l TBA Cherry nectar "Jaffa". 1L. Origin - Ukraine Jaffa 100% ukrainian Pineapple nectar 1L. Juice "Jaffa NFC" 1L. Ukraine TPA Square Jaffa 100% ukrainian juice Pineapple nectar 1L. 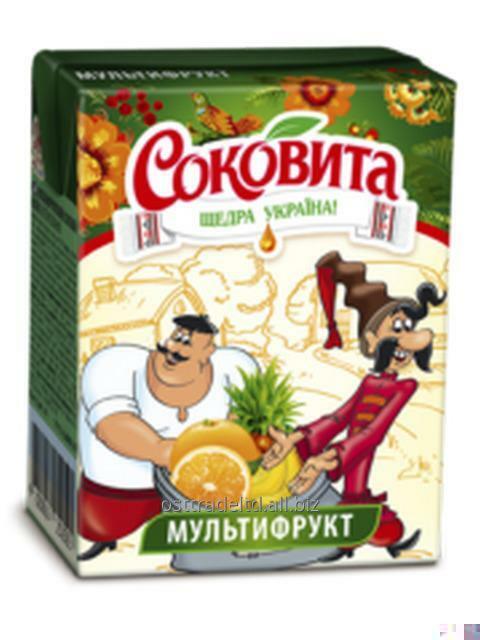 "Sokovita" - natural juices and juice drinks, which offer the best price proposition. 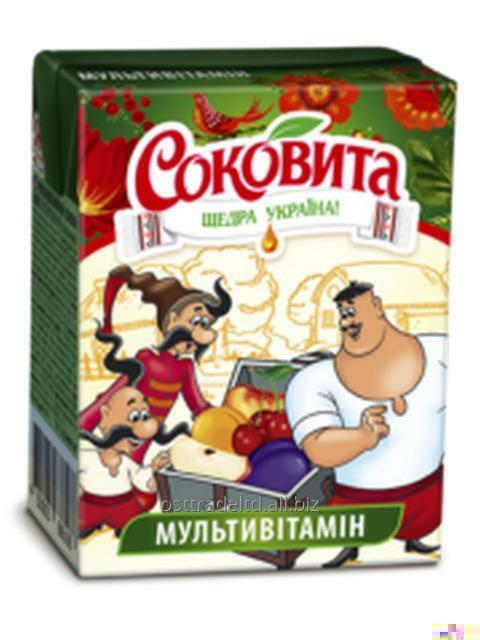 "Sokovita" is the best choice for consumers, who are concerned about family health and budget. 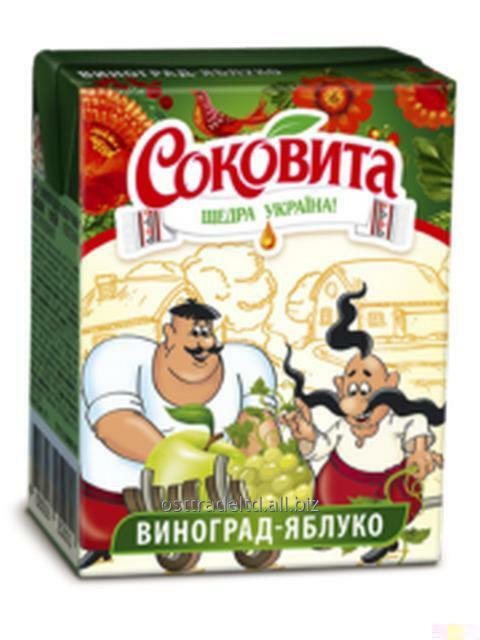 Unbelievable price on Juice "Sokovita" 0,2L. Ukraine. TBA Base in Hongkong (China) company OST Trade Limited.